HOPS is made possible by generous grants from The Scotts Miracle-Gro Company of Marysville, Ohio (Scotts). Since HOPS's beginnings in 2008, Scotts has been the key sponsor in ensuring the program's success. Scotts also played a huge and indispensable role in the fundraising to design and build the National Garden, as well as supporting the National Garden Internship. In 2014, four expert scientists from Scotts MiracleGro will visit the HOPS program to conduct experiments with the students. Ashleigh Lemon received her bachelor’s degree in conservation science and a minor in biology from Muskingum University. She took part in animal behavioral research on the Przewalski Wild Horse and completed her senior research project on the parasite P. tenuis at the Wilds (the largest conservation center in North America). Ashleigh served as the head naturalist at Salt Fork State Park for 4 years followed by a Conservation Education position at The Wilds. 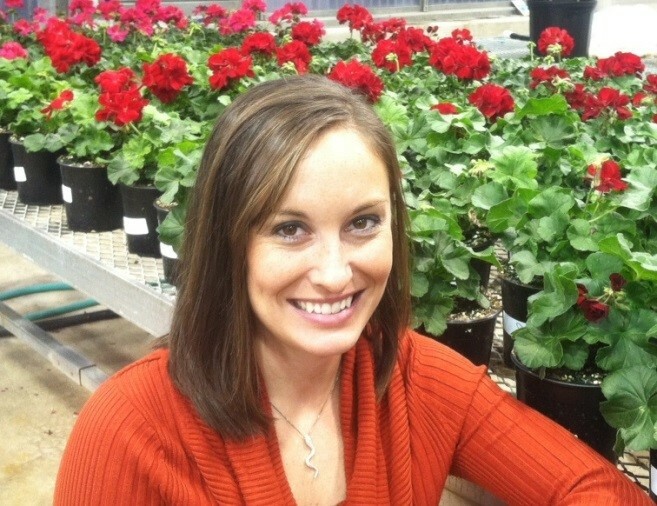 Currently, a Biology Specialist in Live Goods at The Scotts Company, she researches flowering annuals developing the Miracle-Gro Flowering Plant line. In her spare time she serves as the Media Coordinator for The German Village Garten Club, enjoys kayaking and hiking and spends time with her two dogs. Sara Pettigrew received her bachelor’s degree from The Ohio State University in biology, focusing on animal behavior. Before joining the Scotts Miracle-Gro company Sara conducted research for the EPA on a water quality project for the Lake Erie region. Sara’s passion for research led her to join the Scott’s team as a biology specialist in the Garden’s group. She now specializes in developing growing media and live seed products. Becky Torisky always loved plants, animals, gardening, and nature, and hoped she could apply her interests to a fulfilling and useful career. In 1981 she received her Bachelors Degree in Biology at Seton Hill College, at which time she decided to focus on plants. Becky continued her studies, first getting a Masters Degree in Botany at Virginia Tech in 1985, then some internship experience at Monsanto, where she first learned about the emerging and exciting field of DNA cloning and plant transformation, and how it could help plants grow better under adverse conditions, and could make a difference in the world’s ecology and food availability. She returned to school to pursue this field, and in 1992 earned her Doctorate in Biochemistry at the University of Missouri. After two postdoctoral assignments, one at The Univeristy of Kentucky and one at North Carolina State University, she came to Scotts Miracle-Gro in 1998 to work in their new Biotechnology Department. Here, Becky has been working with a team of scientists to develop new, environmentally hardier, and more ecologically-friendly, varieties of lawn grasses and garden plants. 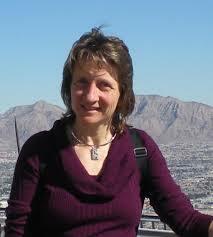 Her hobbies are gardening, bird-watching, art, and bicycling! Gretchen White received her bachelor's degree from Denison University in biology where she became interested in wildlife research while working on a senior research project to better understand how spotted salamanders use their habitat. She then did grassland bird habitat for the Ohio Department of Natural Resources before joining Scotts Miracle-Gro's wild bird food research and development team as a biologist. Her work with the wild bird food R&D team led her to get her master's degree in wildlife science at Purdue University. She now works with the growing media team at Scotts Miracle-Gro to develop natural and organic soil products.